With another year ending, it’s time to revisit some of your company’s digital marketing performance. Pay-per-click or PPC ads still dominate online advertising techniques, and that won’t go away any time soon. 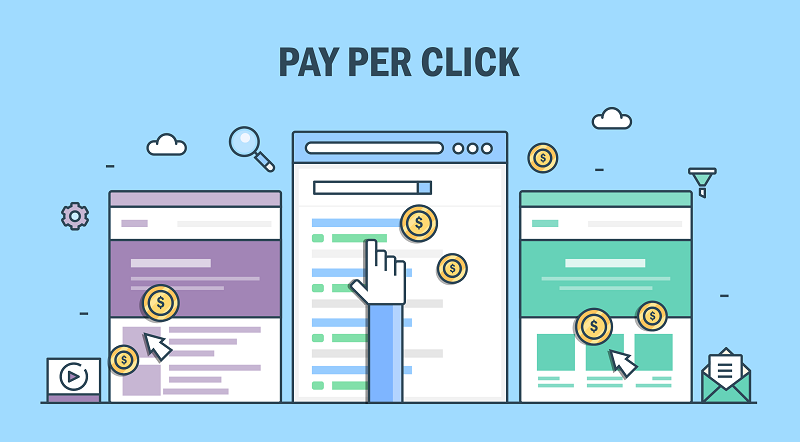 However, you’ll be surprised to know that less than 10% of users click on paid ads. That’s right: the rest of the traffic goes to organic search results. That’s not to say that investing in PPC is useless, though. Data shows that there’s a large room for improvement in the world of PPC and how businesses can make their ads more creative, productive, and profitable. If you’re interested in strengthening your paid search campaign, read on for the top trends and tactics you need to watch out for in 2019. Facebook and Google are the two most popular channels when it comes to PPC ads. It’s not a surprise since there are 2.27 billion monthly active users on the social media platform, and the tech mogul owns 92.74% of the search engine market share. However, there are other platforms that you can try out. LinkedIn is your best bet when targeting professionals or a B2B audience. Here, software companies can better market their products to corporations who need it. Lifestyle platforms Pinterest and Instagram are good for lifestyle content revolving mainly on products, services, and consumer goods. In-app PPC ad placements are also useful for both businesses and buyers. For instance, a courier service may target a local online shop which aims to provide better logistics in the same platforms they use to promote their items. Experiment on different platforms that work best for you. Statista forecasts that there will be around 2.5 billion smartphone users in the world by 2019. Mobile is also set to surpass television as the most used medium in the US. Businesses can no longer ignore that fact that most adults are spending an average of 3.5 hours online using their phones. If you haven’t been paying attention to tailoring your ads for mobile, then your business might struggle in 2019.
Review the cost, clicks, and conversion rates of your PPC ads on your Google AdWords tool. What percentage comes from mobile devices? Which medium has the lowest price per conversion rate? If the answer is mobile, then explore how you might be able to use the data to your advantage. Create more ads optimized for mobile and monitor conversions. Create test campaigns and check how much it can affect the bottom line. The likes of Siri, Alexa, Bixby, and Google Assistant will have a significant impact on SEO and SEM moving forward. Preparations are for your PPC strategy to adapt well to these changes. In 2017, one in five mobile searches were done via voice search. Around 70% of those used conversational language. Learn how to identify voice search queries and how you can spin your ads to target people who are doing the same thing. Because of their conversational nature, voice searches are usually more extended (6 words or so) beginning with the 5Ws and H: who, what, when, where, why, and how. They also focus on local queries, like “What are the nearest ATMs near me?” This is crucial to pinpointing user behavior and opening more opportunities for targeting, especially within your local vicinity. Many exciting things will happen in the state of PPC. Preparing yourself to adapt to these trends can help you come out on top—literally. Continually adjusting and refining your strategy in your digital marketing campaigns is crucial to maintaining and improving your performance. Keep your eyes peeled for every new piece of info that experts will release in the coming months! Bio: Jake Smith is the DIrector of Marketing for Go People. He loves to surf on Bondi beach on his free time.